June 21, 2017 - International Center of Photography School. 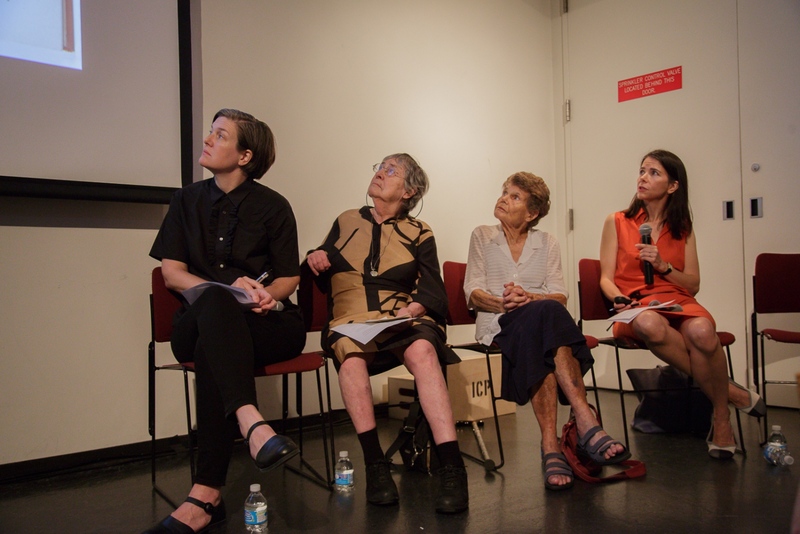 New York City, NY, USA - (From left to right): Kristen Lubben, executive director of the Magnum Foundation, Inge Bondi, who joined Magnum in 1950 for about 20 years, Jinx Rodger, wife of George Rodger photographer and founding member of Magnum, Cynthia Young, curator at the ICP Museum, during the panel discussion "Magnum Photos Now- Photobooks: History, Future, Form". June 21, 2017 - International Center of Photography School. 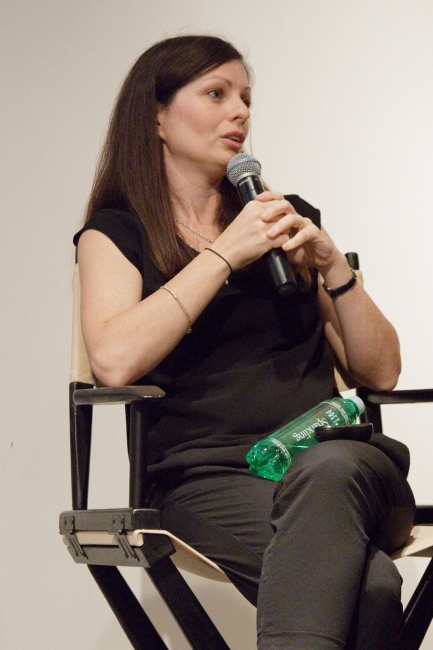 New York City, NY, USA - Susan Meiselas discussing her book "Nicaragua" during the panel discussion "Magnum Photos Now- Photobooks: History, Future, Form". To her left is Bruce Davidson, and to her right Larry Towell and (far right) Fred Ritchin. June 21, 2017 - International Center of Photography School. 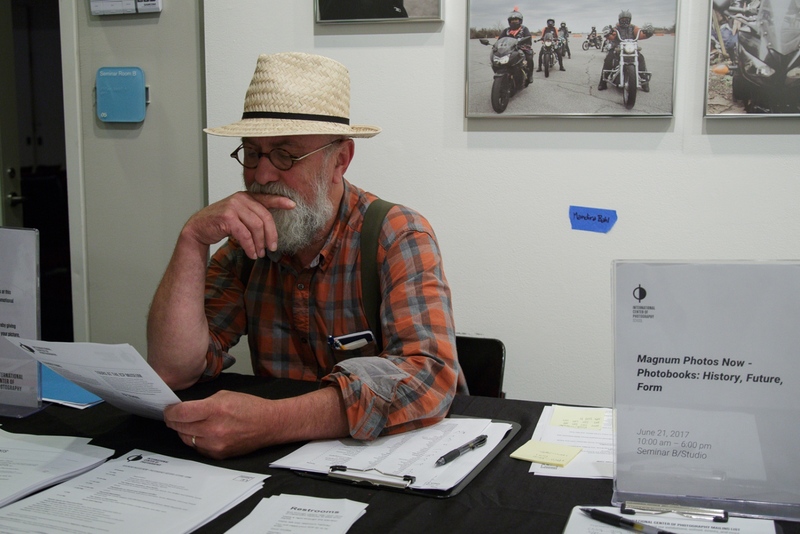 New York City, NY, USA - Larry Towell sitting at the welcoming desk at the "Magnum Photos Now- Photobooks: History, Future, Form" event. June 21, 2017 - International Center of Photography School. 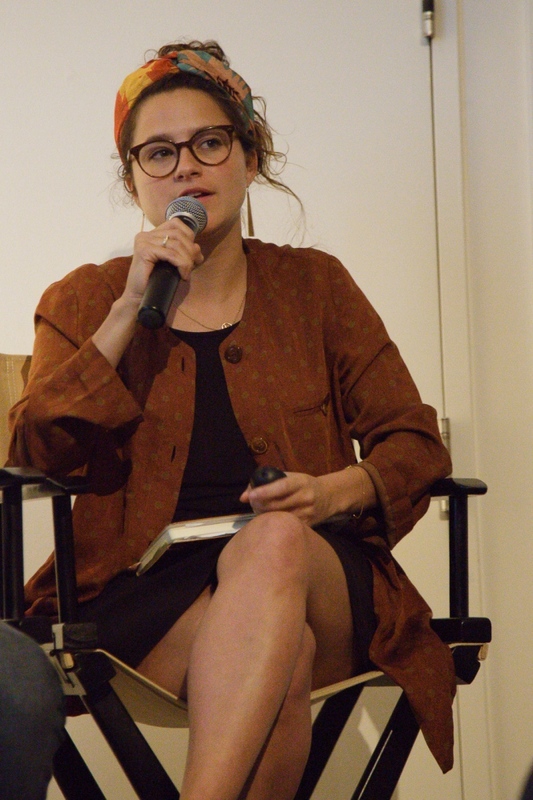 New York City, NY, USA - Bieke Depoorter, Magnum Photos Associate Member, discusses her books during the panel discussion "Magnum Photos Now- Photobooks: History, Future, Form". 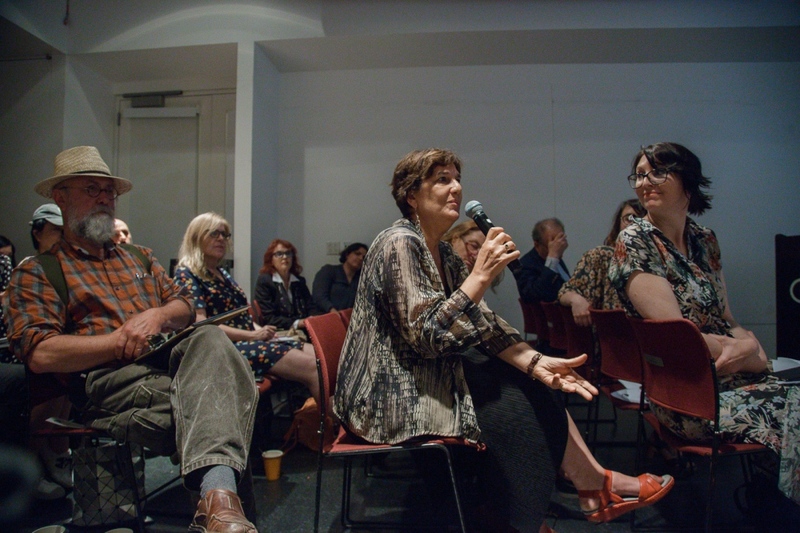 June 21, 2017 - International Center of Photography School. 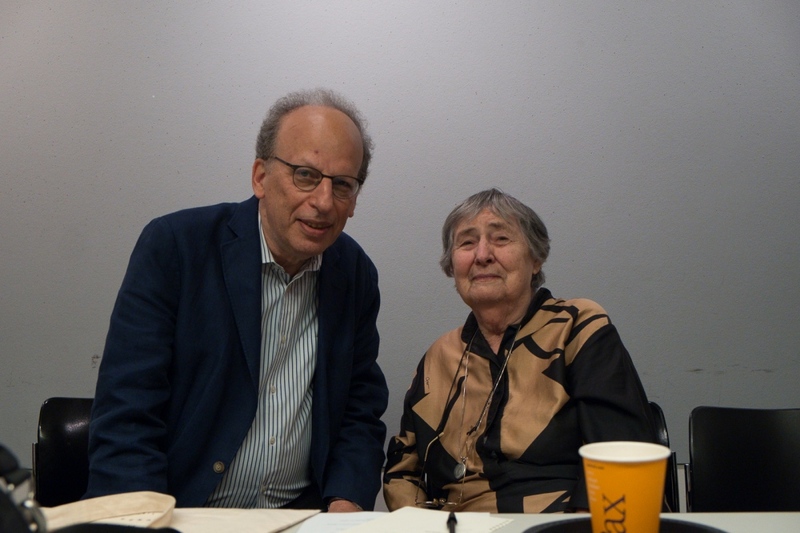 New York City, NY, USA - Fred Ritchin, Dean of the ICP School, (L) and Inge Bondi (R). 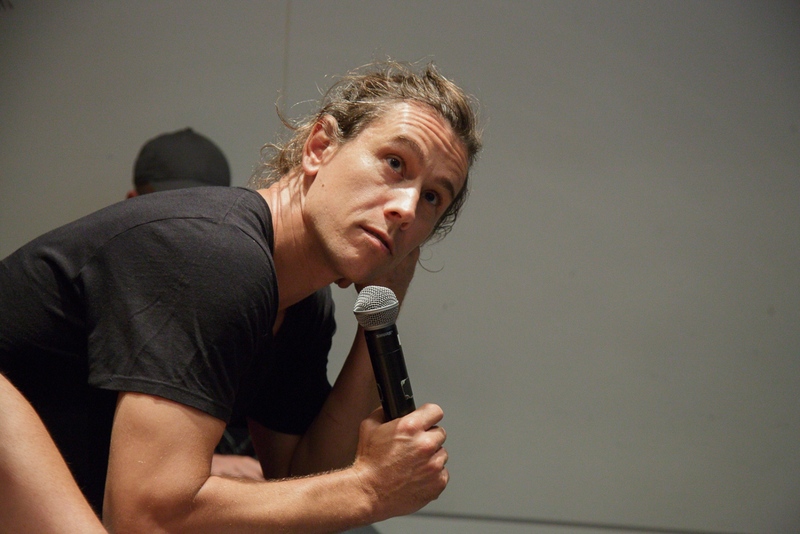 June 21, 2017 - International Center of Photography School. 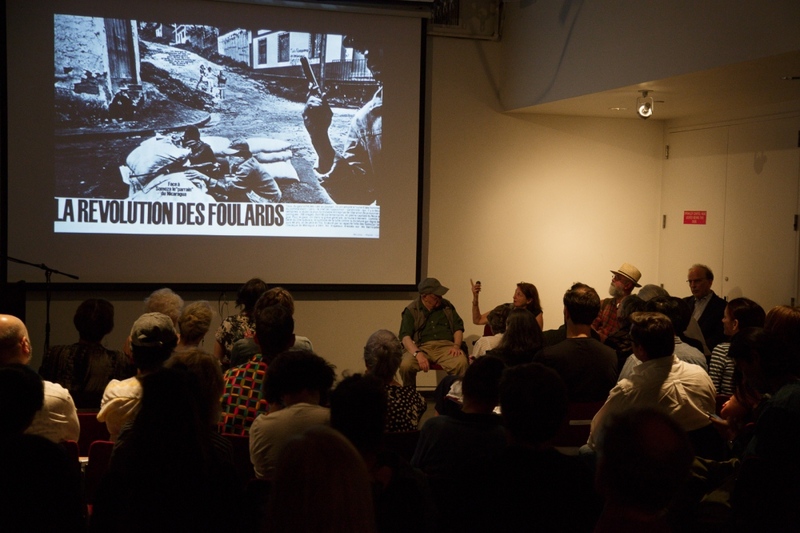 New York City, NY, USA - Foreground: (Left to right) Larry Towell, Magnum Photographer, Carole Naggar, editor and curator, and Shannon Ghannam; Global Education Manager of Magnum Photos during the "Magnum Photos Now- Photobooks: History, Future, Form" event. June 21, 2017 - International Center of Photography School. New York City, NY, USA - Olivia Arthur, Magnum Photos member and co-founder of Fishbar publishing speaking at the "Magnum Photos Now- Photobooks: History, Future, Form" event. June 21, 2017 - International Center of Photography School. 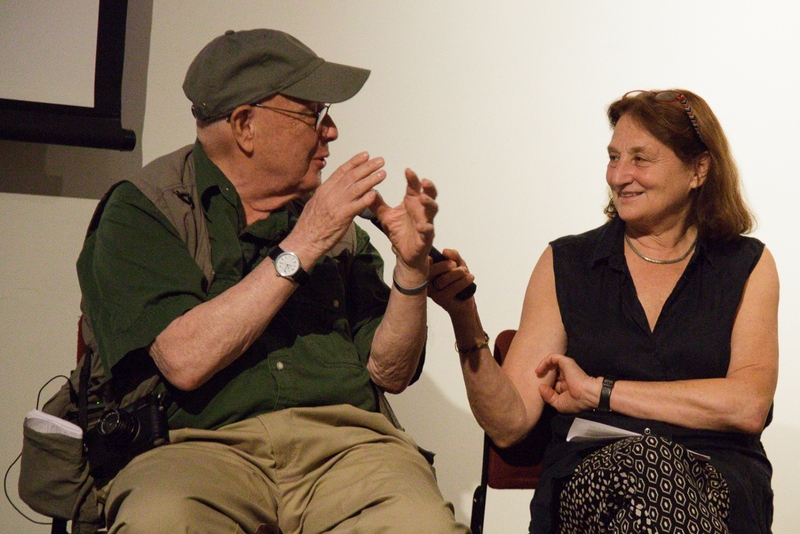 New York City, NY, USA -Bruce Davidson and Susan Meiselas during the "Magnum Photos Now- Photobooks: History, Future, Form" event. June 21, 2017 - International Center of Photography School. 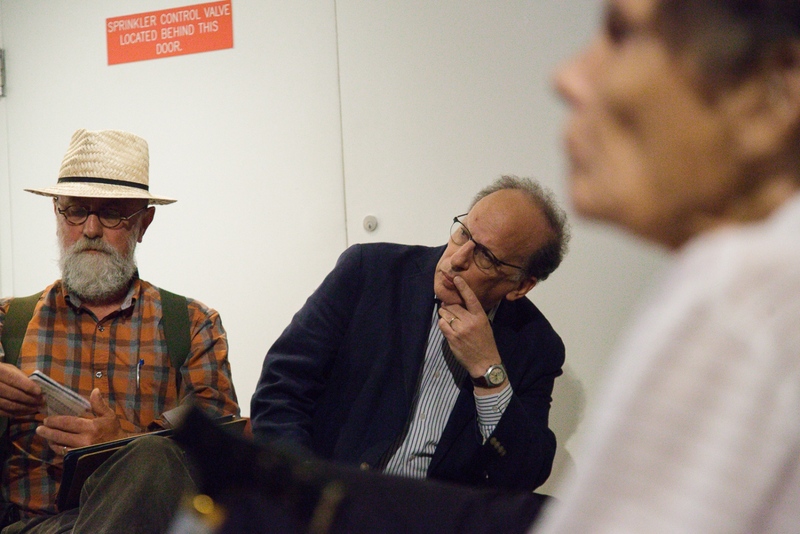 New York City, NY, USA - Michael Christopher Brown Magnum Photos sitting in the audience during the panel "Magnum Photos Now- Photobooks: History, Future, Form". June 21, 2017 - International Center of Photography School. 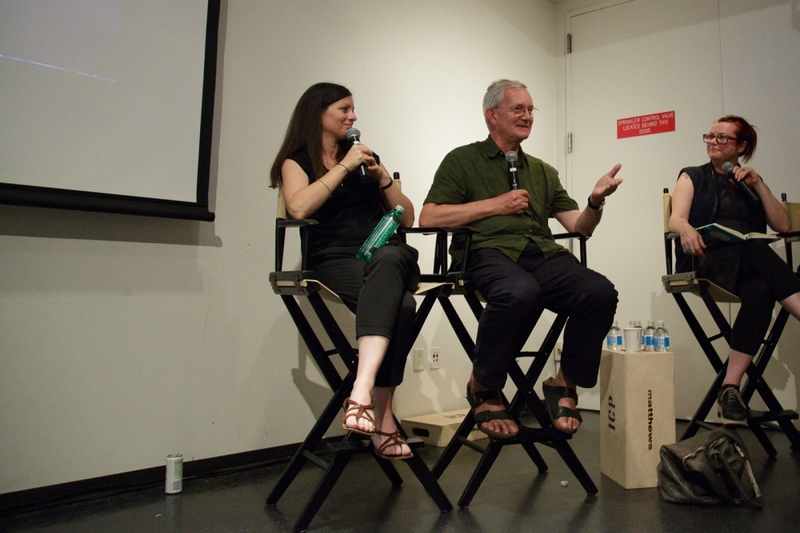 New York City, NY, USA - (left to right): Olivia Arthur, Martin Parr and Lesley Martin during the panel discussion "Magnum Photos Now- Photobooks: History, Future, Form". June 21, 2017 - International Center of Photography School. New York City, NY, USA - Alec Soth's text message to Fred Ritchin. 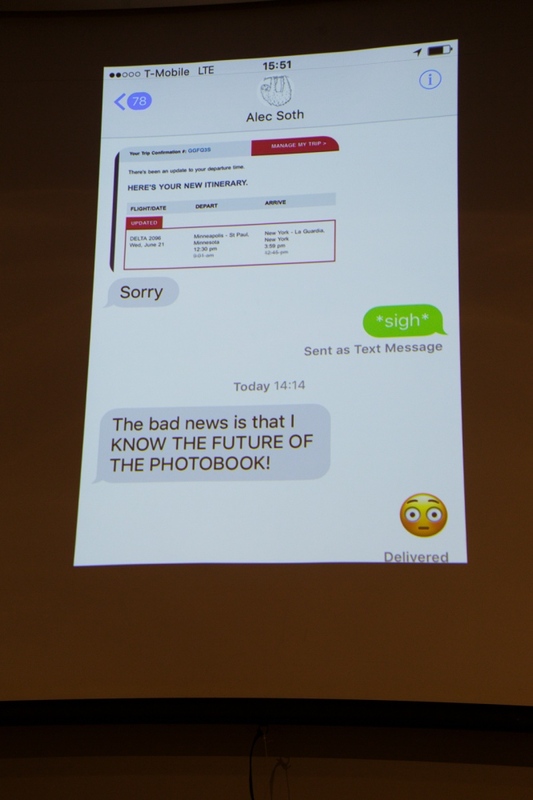 Alec Soth was unable to attend the panel due to a delayed flight. June 21, 2017 - International Center of Photography School. New York City, NY, USA - (Left to right) Larry Towell and Fred Ritchin. June 21, 2017 - International Center of Photography School. 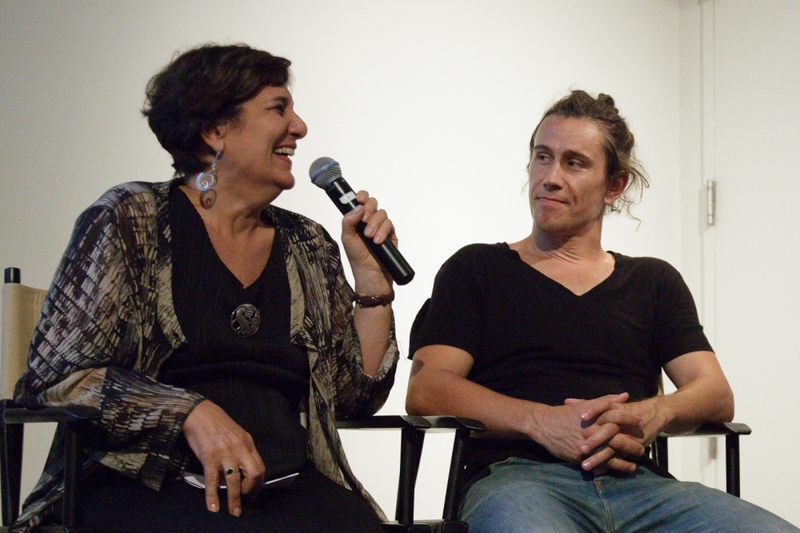 New York City, NY, USA - Carole Naggar and Michael Christophr Brown during the panel discussion "Magnum Photos Now- Photobooks: History, Future, Form". June 21, 2017 - International Center of Photography School. 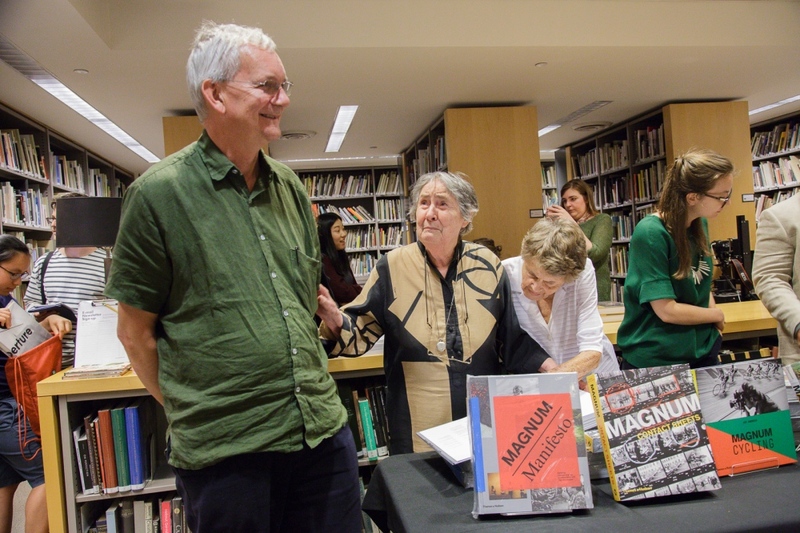 New York City, NY, USA - Martin Parr (L), Inge Bondi (center) and Jinx Rodger during the book signing event after the panel discussion "Magnum Photos Now- Photobooks: History, Future, Form".